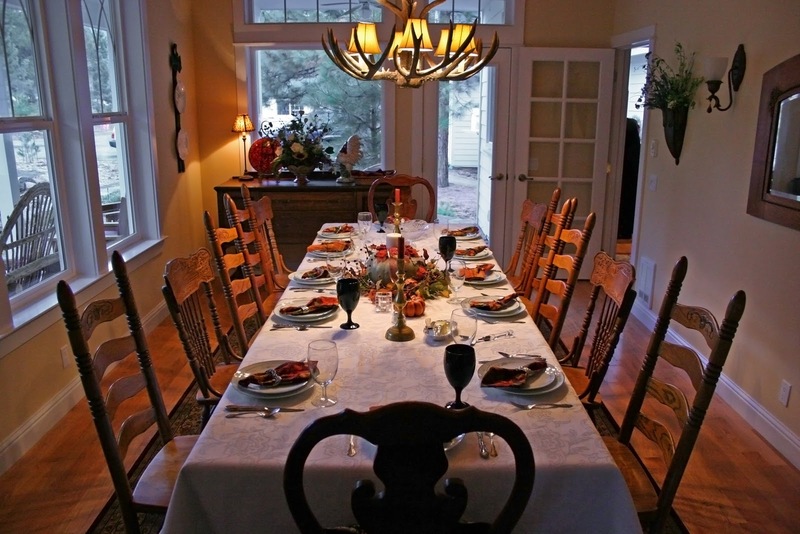 I wish I was this far along with Thanksgiving preparations but I'm not yet ( the photo is from a photo site). But the pumpkin pies are in the oven as I write this and I wanted to stop and take a break from the party prep and wish you all a happy Thanksgiving. If you are traveling I hope you travel safely and enjoy your time away, and if you are having family and/or friends to your home, I hope you have a yummy feast, and a nice time welcoming loved ones. My sister has said that having guests brings fresh air into our homes. I think this is so true. I leave you with one of my favorite poems called Wild Geese by Mary Oliver. Happy Thanksgiving to you Louise! Wishing you a beautiful day with your family! I also wanted to let you know how grateful I am for our friendship as well as for your blog! You are an inspiration to us all Louise! Many blessings of love to you and your family during this holiday of thanks! Happy Thanksgiving to you and yours as well! And thanks for the link to the Mary Oliver poem. Absolutely one of my favorites.